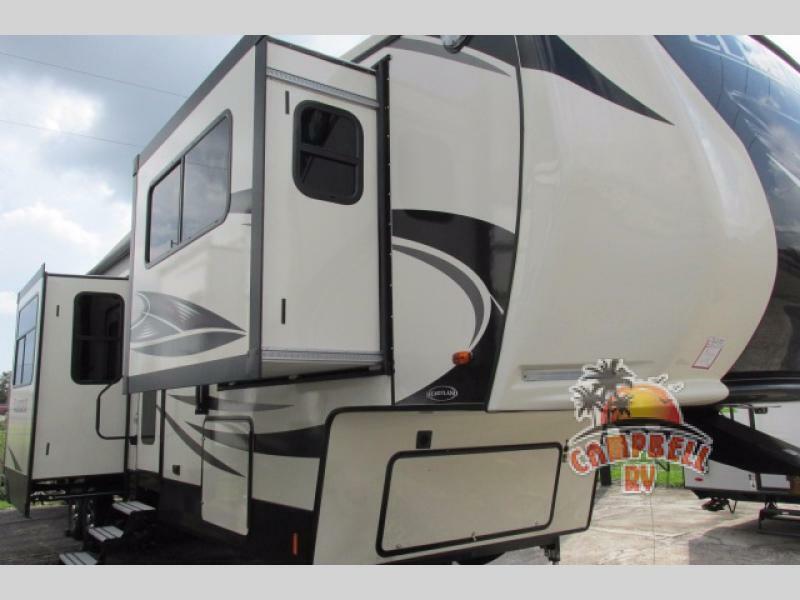 RV Sale: Fifth Wheel February! The deal can’t get any better with the Heartland Bighorn. This fifth wheel, simply put, is one of the best. The interior has fantastic amenities! You’ll enjoy a built-In closet system featuring hanging clothes rods with recessed shelving, a king size bed to cuddle in at the end of the night (WITH an upgraded foam mattress), and a tall dresser with four large drawers. It looks like when it comes to the bedroom, you won’t have to worry about storage at all! 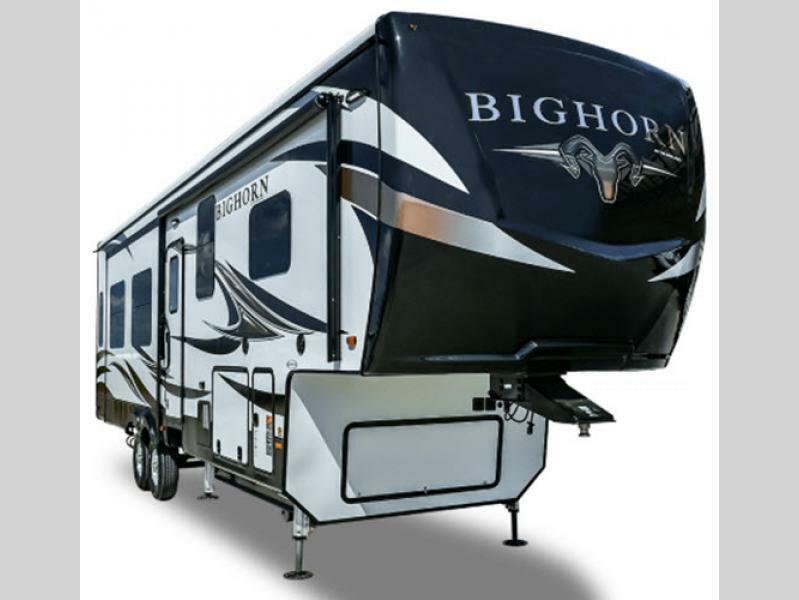 The Bighorn also includes a deluxe headboard design, a massive under-the-bed storage, and a pull-out storage drawer in the steps, as well. As far as fifth wheels go, the Elkridge has it all! And with such a great deal in February, you won’t regret taking another long look at this beautiful RV. The master bedroom features a king size bed slide with an upgraded pillow-top mattress, or the optional queen for comfortability. There is a dresser along the opposite wall of the bed, and a full front wardrobe with sliding doors for all of the clothes you’ll be bringing on your long vacations: a perfect picture of luxury! There are two bar stools to sit atop while enjoying conversation with family or friends as you prepare your meals. The LCD TV is located above the counter, and can easily be viewed throughout the RV. Don’t Lose Out on the Sale! Fifth wheels are expensive. You know that, we know that. So when it comes to great deals, you know this one is worth your while! The month of February doesn’t last forever, and neither will this fifth wheel RV sale, so please take a look! These two fifth wheels we listed aren’t the only ones on the list! Contact us with any questions about more fantastic deals on other fifth wheels!